After a nine- month break I have finally been able to submit the latest chapter of my diary. After enduring a long illness my father died earlier this year. My dad was a huge influence on my life, he taught me to play the harmonica, nurtured my love of music and gave me my moral compass. I miss him terribly. At my families request I played at the Dundee Blues Festival (a week after his passing), dedicating the performances to him. Since my last submission it has been a hectic year (including a move to Brighton and Hove). The album I had hoped to launch this year (Silent Man) is still awaiting completion. Paul Booth and I managed to record the drum tracks in September. We plan to finish it over the coming months. 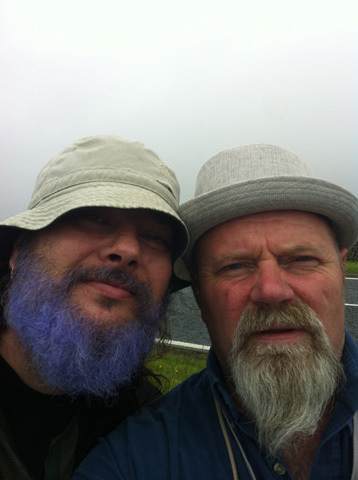 There are a couple of the more rootsy/folk tracks on the web site (www.mikedrblue.com). I have been using the version of ‘Pay The Devil His Dues', recorded by Gary Grainger (more of him later) at Bishop F.M. as a promo track for my live shows this year. The Dundee Blues Festival this year was my second visit to this eclectic festival. I went up with Paul Booth on Drums and Dave Stein on Bass. We played tracks from the new album to some enthusiastic packed houses. 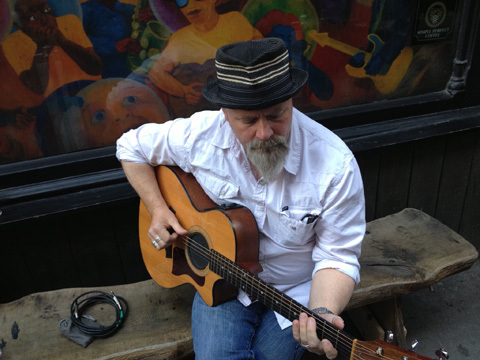 In addition to the three gigs with the band, I also played two solo shows. With the income from these extra shows, it meant that we were all able to cover our expenses and have a few beers. Touring with a blues band is always a gas, but not (as yet), anyway near to being a financial success. The only problem I have with playing 5 gigs in two days is that there is very little chance to see the other performers. 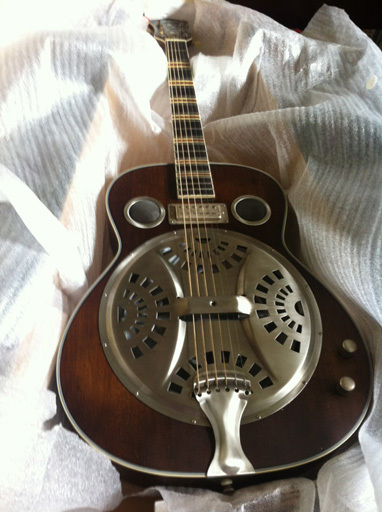 I did manage to pick up a 6 th gig, playing harmonica for my old blues buddy – Jimmy C. I had bumped into Jimmy on the Saturday, and he had asked me to play with him at the festival's closing gig in an old converted chapel. When I arrived Jimmy was looking for someone to ‘dep' on drums. I said I knew just the man for the job. I called my band buddy, and drummer Paul Booth, who had been on his way to the bank to secure some drinking vouchers. I managed to intercept him in time, no need for a cash withdrawal- Boothy had an earner! We had an early start the next morning, as I had to get back home. I did the first driving shift. The bonus was a lovely sunny day, driving down the picturesque A1, with its sea views and a brief glimpse of the Holy Isle, Lindisfarne. My father had requested that I play at his funeral- a tough call. He said he wanted me to play one of two tracks of mine, either ‘Hear the Devil Calling' or ‘Heaven Bound'. My father, a religious man, who also had a great sense of humour, would in his own words have, with the two songs he chose, ‘ both bases covered!' I played Heaven Bound, sending him off with a refrain on the harp. 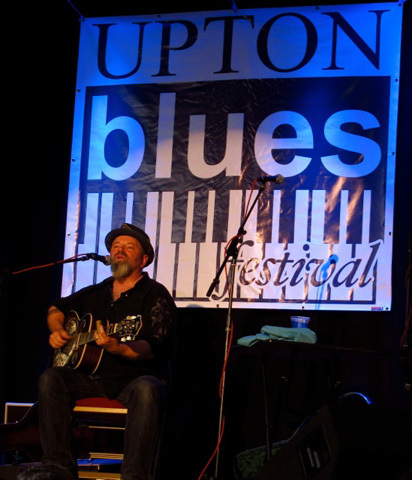 In July, a gig at the Upton Blues Festival. Like Dundee and Maryport, a festival based in a town, with stages set up in a wide range of locations. Upton had gigs on the local rugby club field, in pubs, on the street and in the local town hall. It's great to wander around a festival town in full flow- with animated festival goers, drifting from one venue to another, looking for their favorite performers, checking out potential sets from musicians who catch their eye in the program, or just walking in off the street to hear a band or performer whose music has drifted into the street. In between gigs I have been visiting my favorite haunts, the Saturday acoustic session at Aint Nothing But (central London), The Wednesday Jam at the Coach and Horses (Leyton) as well as watching gigs in Round Midnight (Islington). I played a couple of nights at the Camden Fringe Festival instead of my regular annual visit to the Edinburgh Festival. However I wont be missing out on the chance to play north of the border again this year as I will be playing three nights with my blues buddy the ‘Rev' Gary Grainger! 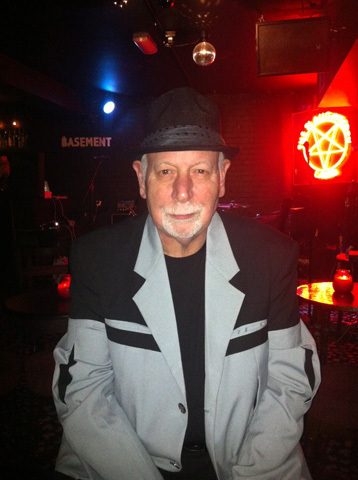 I first met Gary at the radio station where he broadcasts his weekly Blues Show on Bishop F.M. We hit it off immediately. We decided we would sort out a few gigs, playing our solo sets on the same bill. We will be in Edinburgh next week, then Newcastle and finishing up in Darlington. It's always good to be out playing. Remember: If it aint the truth it aint the blues.